Sibton Park Estate was developed from the 17th Century on land to the east of Sibton Abbey, a picturesque ruin itself dating from 1150. The current house, Sibton Park, sleeps 24 and was built in the Greek manner by Robert Sayer, once Sheriff of Suffolk, to replace an earlier Queen Anne house. This Grade II listed Georgian country house, designed by the celebrated architect Decimus Burton, features giant pilasters and a central bay of full height Ionic columns forming an open semi-circular portico to create a dramatic entrance. Sibton Park is set amid hundreds of acres of rolling parkland, Arcadian pleasure grounds and woodland and overlooks a large ornamental lake and its own sweeping serpentine drive. Guests are invited to enjoy this five-star country house available fully-serviced with chef, butler, waiting staff and daily housekeeping for the duration of their stay. 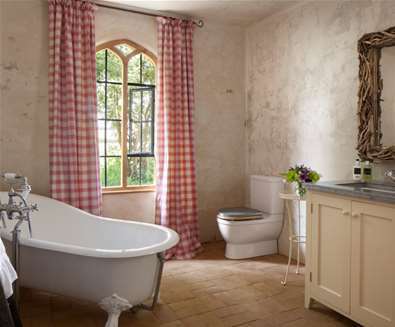 Elsewhere on the Estate, there are other luxury farmhouses and cottages which boast refined interiors and contemporary amenities such as underfloor heating, wood burning stoves and en suite bedrooms featuring endless piping hot water. Each comes with daily housekeeping (if required) including whilst other staff, such as chefs and waiting staff, can be specified as part of the five-star service tailored to your requirements. From the thrill of the shoot to the relaxation of an indulgent spa treatment and from a guided ‘morning chorus’ birdsong tour to a dip in our spectacular naturally-filtered pool and hot tub, there are a wide range of Estate activities for guests to enjoy during their stay at Wilderness Reserve. Some of these activities, such as the ‘morning chorus’ birdsong tour and ‘moth breakfast’ underline the commitment to English nature, which is at the heart of everything at Wilderness Reserve. The conservation efforts mean the Estate is becoming a haven for wildlife with well over 100 different bird species. Over 2,000 nest boxes have been erected, including 38 owl boxes as part of the Suffolk Barn Owl project and Wilderness Reserve is home to significant breeding populations of risk species. The estate is establishing a reed bed for migratory wetland species, particularly the Reed Bunting and Reed Warbler and there are significant mammal, amphibian, moth and butterfly populations developing through the planting of woodland, field trees and hedgerows and the introduction of ponds, lakes and meadows.